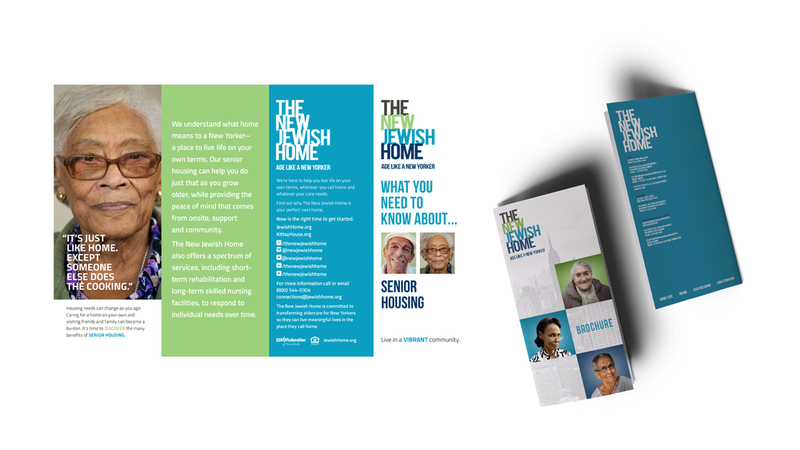 The Jewish Home is a nonprofit that provides care for the evolving needs of New Yorkers of all faiths and backgrounds as they age. There is a numbing sameness to the way eldercare services position and promote their brands. We challenge you to name even two! This sense of anonymity was true for Jewish Home Lifecare, the largest eldercare network in New York. They came to us for help. The roots of our re-branding effort were also the roots of the people they served— New Yorkers — arguably the most demanding seniors in the world. Click on images to see our work. 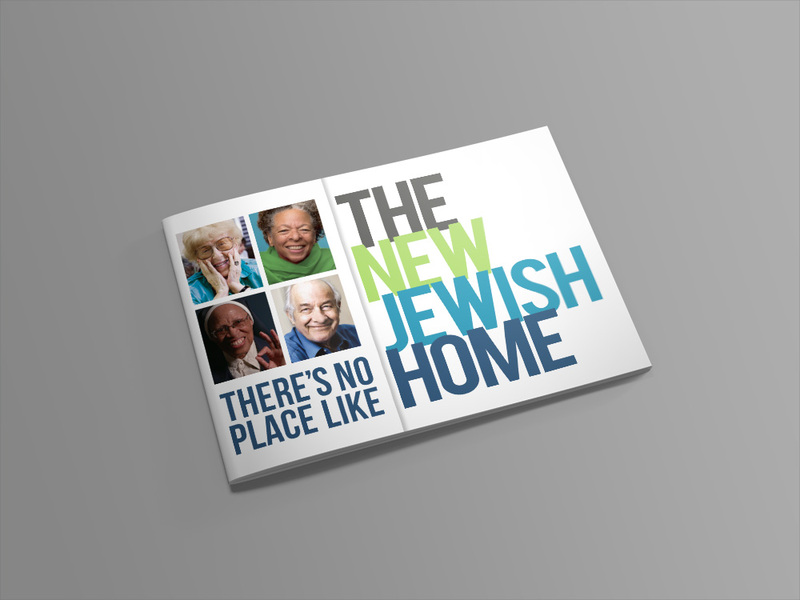 We created a new mission — to help the most demanding seniors in the world continue to live in the most exciting city in the world , a modified brand name, The New Jewish Home, a new tag line — “Age like a New Yorker ,” and a precident-shattering ad campaign. We also created an entirely unexpected logo and visual identity system that was all about New York and about living…as opposed to the alternative! The four-minute video below (THE NEW JEWISH HOME SENIORS) captures the energy and excitement that has been infused into this 168 year old institution. Enjoy.